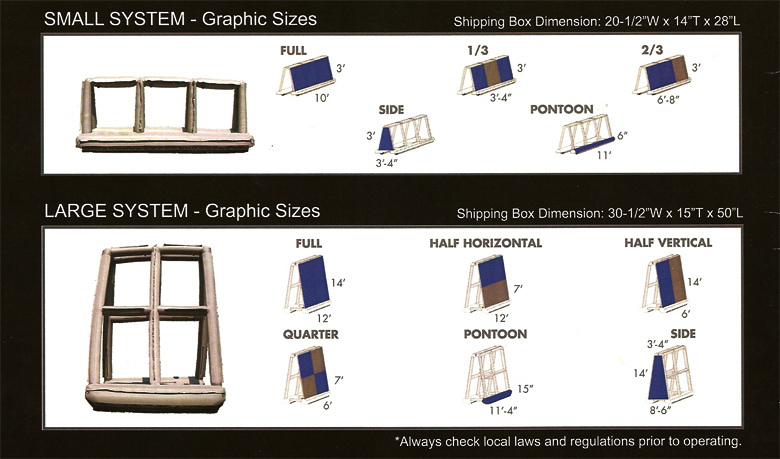 These are the graphic sizes available on the small system (IBK 100) and large system (IBK 200). Each system has the ability to be linked to create even longer systems. Tynk Outdoor provides a full and complete service line-up. Inflatable billboards may be purchased or leased. For a complete list of accessory inclusions and set-up times, click here: Product Specs. The only extra you will require is to purchase your banner. All printing and artwork is outsourced, and contact information for these resources is available on request. Each job is very unique, and is custom quoted. Contact Us for purchasing and leasing information.